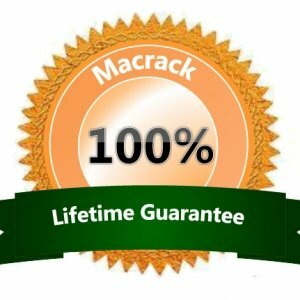 When it comes to optimising storage and boosting warehouse productivity, MACRACK are the experts. We have worked with many companies both in Queensland and across Australia to increase their storage capacity and improve their warehouse operations. MARACK have helped countless Brisbane businesses to create storage solutions customised for their individual product ranges and operations. 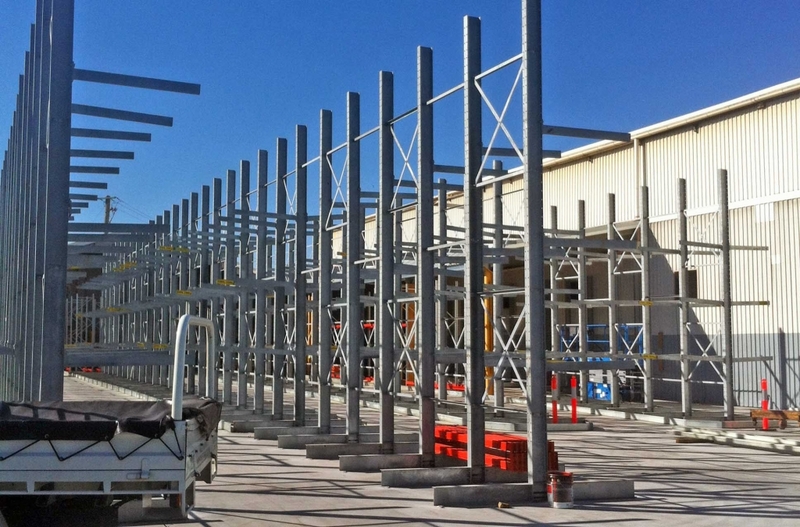 We recently helped Ingal EPS, Australia’s leading manufacturer of light poles, structures and columns, with a racking relocation. We were able to relocate and recertify Ingal’s existing racking at their new premise, saving them money. We also designed and manufactured a customised storage solution to suit their new Acacia Ridge location and expanding product range. Because Ingal manufacture and store an uncommon product they needed a customised racking solution to suit the length and curves of their metal product range. Our pallet racking specialists designed a storage solution of cantilever racking for their outdoor facility. Any pallet racking that is stored outdoors should be galvanised in order to avoid rust that can compromise the structural integrity of the system. Luckily, MACRACK use pre-galvanised frames as standard for long lasting systems that will never rust. MACRACK have also, designed, manufactured and installed custom storage solutions for USG Boral, premium provider and retailer of plasterboard products Australia wide. With distribution outlets across Australia including Queensland outlets in Pinkenba, Browns Plains, Rockhampton, and Cairns, USG Boral is one of the largest producers of plasterboard products in Australia. 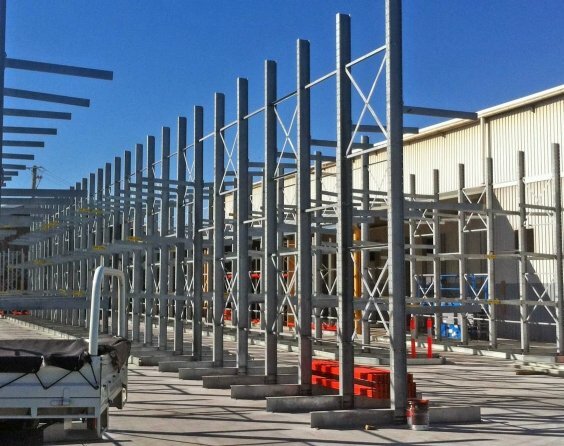 MACRACK have provided USG Boral with pallet racking systems for over a decade to both their retail outlets and their production plant based in Pinkenba near Brisbane Airport. 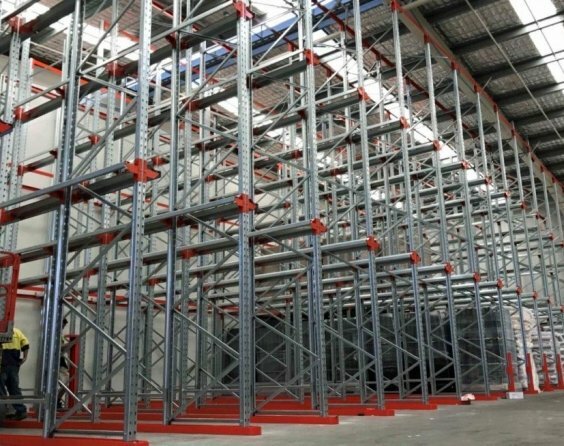 MACRACK designed a selective pallet racking system tailored to suit their requirements of maximum storage with the minimum space consumption possible. We also helped to maximise their warehouse storage capacity by installing drive-in racking for bulk storage of their raw goods. 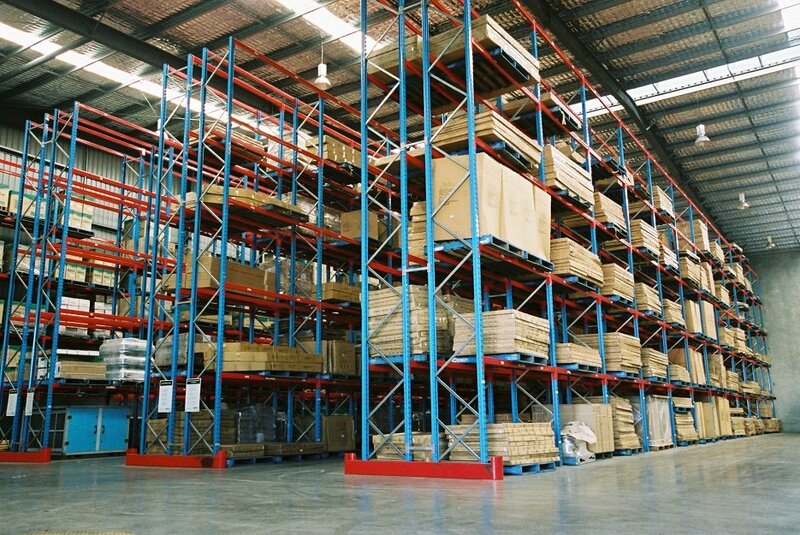 MACRACK design and manufacture pallet racking and storage systems for businesses across Australia. However, with our manufacturing facility based in Brisbane, we are able to provide even shorter lead times for warehouses within Queensland. MACRACK have worked with many Queensland businesses including Bradnams and JAT Cold Stores to build storage systems designed to suit their individual requirements. MACRACK has worked with Bradnam’s windows and doors for over 30 years to provide storage solutions perfectly suited to their industry requirements. From humble beginnings in Hervey Bay, Bradnams now has branches all over Australia including a local manufacturing facility in Boondall, Queensland. We have manufactured many custom racking systems for Bradnam’s including A-frame racking that is ideal for storing their extrusions of aluminium that are hand picked to order. JAT Coldstores provide refrigerated, frozen and chilled road transport between locations across Australia including Queensland locations such as Townsville and Morningside. JAT rely on MACRACK to provide pallet racking solutions for the efficient storage of chilled food items. We used a combination of double deep racking and deep store racking allowing them to double their storage capacity in the same number of aisles. The high-quality, pre-galvanised frames of our pallet racking ensures that the new racking systems will withstand the harsh conditions of JAT’s cold room storage. 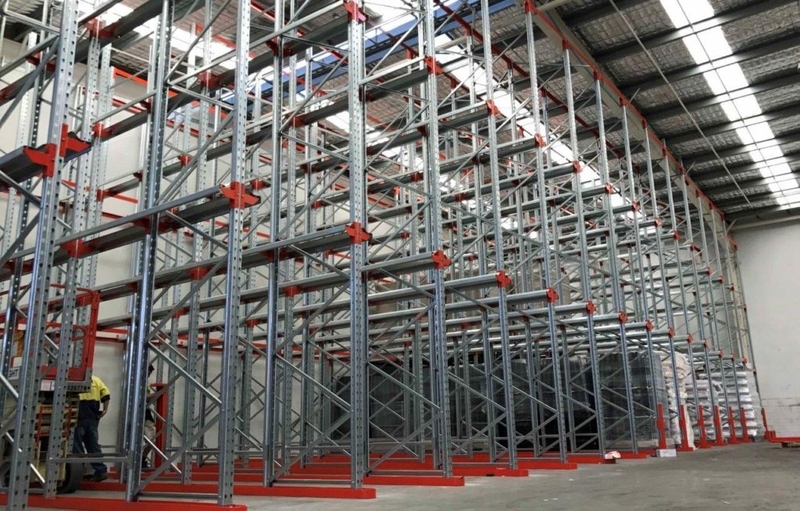 We offer a lifetime guarantee on each of our pallet racking systems so all of our clients, including JAT Cold Stores, can rest assured that their new racking systems are built to last. Each pallet racking system we make is built locally in our Brisbane manufacturing facility. MACRACK pallet racking is made from high quality, Australian steel with cold-rolled, pre-galvanised steel frames that will never rust. All MACRACK products meet, and often exceed, the latest Australian standards for steel storage racking. And you don’t have to take our word for it. Our long history of satisfied customers combined with the lifetime guarantee that comes with any MACRACK pallet racking system speaks for itself. For pallet racking that is built to last, choose MACRACK. Call 1800 048 821 today for a free warehouse storage plan custom made for your warehouse.